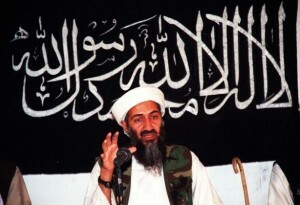 Terrorism 2.0 in Africa, "Inspire global, Act Local"
After the death of Bin Laden, one can think or believe that global terrorism has suffered a tremendous loss. It’s an undeniable fact that UBL’s death has caused harm to the global Qaida organization, however that loss should be marked as an emotional loss. Since a few years intelligence organizations have noted that the Al Qaida organization is not a centralized, structured and well managed organization as the world has believed since the coordinated attack on 9/11. The Al Qaida Organization turned out to be a global inspiring message for all kind of terror organizations that face a local or domestic struggle and has regional or national objectives to achieve. One common denomination of all groups is the desire to establish a local caliphate (Islamic republic referring to the origin of the Islamic nation in the 6th century A.D). More and more the world faces new encounters of local terror groups, like Al Shahaab (the Youth) in Somalia, and Boko Haram (Western or non-Islamic education is a sin) in Nigeria. Although one might think that these organizations are a local and isolated problem, fact is that there is in both organizations a very similar structure, methodology of operating, one vision and mission and last but not least, the same sources of funding. Nigeria, the most populated country in Africa with an unequally spread oil wealth is becoming more and more a problem file, not only for the Nigerian government, but also for the African union, the Commonwealth organization and the USA. Due to the unequally spread of Oil revenues, the wide corruption with the government and its (eco-) system, as well as the political unstable situation, there is a significant opportunity for the globally inspired but locally acting Islamic terror group: Boko Haram. The objective of the BH group is to establish an Islamic caliphate within Nigeria based on the ancient Shariaa law. A worrying sign is the large support that the BH group has among the poor and frustrated Muslim population in the north of Nigeria. Unemployment is high, crime is wide spread, corruption is a cancer to any equal employment opportunity and criminal families control the northern states by fraudulent elections. The Muslim population sees that the governors of their states enrich themselves by all kind of criminal activities and corruption and do not represent the voice of the Muslim north into the centrally lead government by the elected Christian president Goodluck Jonathan. These circumstances provide Boko Haram a justification in using violence to achieve their objectives. Although the Nigerian government is desperately trying to downplay the seriousness of the clear and present danger of Boko Haram, western intelligence services are concerned about the recent developments in the most populated country of Africa. Not only the support amongst the Muslim population, but also the imminent further destabilization of Nigeria and that effect on neighbouring countries is worrisome. Alarming is the arms supply to the BH group by locally acting arms dealers who have ties with the ruling Muslim governors group of the northern Muslim states. These arms dealers have a global buying and selling network and it is clear the weapons for the Boko Haram are foreign funded. Some Northern Muslim governors are “more than pleased” to note that the Central Government of Goodluck Jonathan faces a threat by Boko Haram, due to the fact that the newly elected president has mentioned several times that the corrupted governors will be prosecuted and out casted. 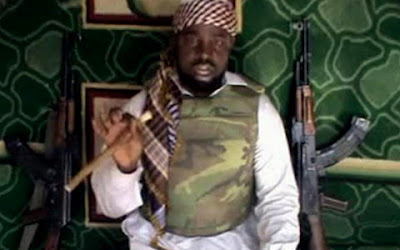 It would be naïve and dangerous to classify Boko Haram as a local and insignificant terror group. One should see the rise of Al Shahaab and Boko Haram as part of the new terror threat, a global message with a local execution. 'Think Global, Act Local' = Terrorism 2.0 .